The Euro crisis has all the signs of being back amongst us, and this time it may be here to stay. After two earlier false alerts – one in July around the collapse of the Portuguese Banco Espirito Santo, and another in October over the state of the Greek bailout negotiations – the announcement this week that the Greek presidential decision was being brought forward to December has sent the markets reeling off into a complete tizzy. In a development reminiscent of the heady days of 2012 yields on Greek 10yr bonds surged over a percentage point in the two days following the announcement, while the stock market fell on Tuesday by the most on a single day since 1987. 5yr CDS on Greek debt were also up sharply rising on Wednesday alone by over 100 base points, and even more significantly, the yield curve inverted with 3 year debt has started to move above that on ten year debt. Yield inversion on sovereign bonds is often seen as a symptom of potential default as investors demand ever more for holding short term debt. And the chaos which started on Tuesday continued on Thursday with 10 yr bond yields rising above 9% and stocks down another 7.35%, taking the total drop in equities to over 20% (chart from Mike Bird at Business Insider). The reason for the market panic is that should the Greek Parliament be unable to summon sufficient votes for the government candidate for president to be approved in the final vote on 29 December, then general elections would become inevitable. If elections are held then there is a significant possibility that the radical left coalition – Syriza – would win, and in that eventuality some sort of confrontation or stand-off with the EU Commission and the Troika would become inevitable. What is worrying investors most is not the fact that Syriza have renegotiation of the country’s debt in their programme – with government debt at over 175% of GDP and the economy in deflation some sort of restructuring is inevitable – but the kind of economic programme the new government would try to implement since it would surely be based on a kind of “anti Troika” formula – higher salaries, higher pensions, more government employees, and repeal of the new labour law, just for starters – and these kind of “reverse reform” measures would be hard for Europe’s leaders to swallow. Formally the party do not seek to leave the Euro, their aim is rather to run an alternative economic model within the Euro structure, based on the assumption that faced with the threat of Greek exit Europe’s leaders would back down and become more flexible. 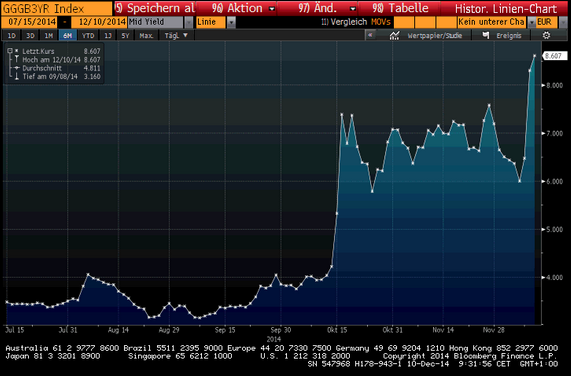 Investors are nervous since they fear that they may not do so, and that Greek exit may actually ensue. 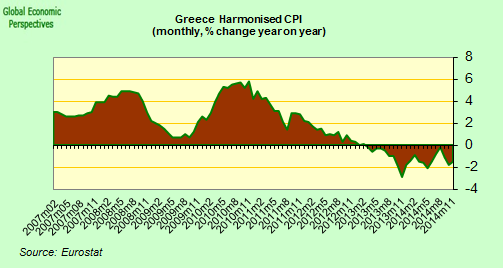 Despite the fact Greece’s economy grew by 1.6% over a year earlier in the 3 months to September (making for the third straight period of quarterly growth) this welcome “green shoot” comes on the back of six years of contraction during which time the economy fell by around 25%. The country – and it’s citizens – is a lot poorer now than it was then, not to mention the fact that it has been burdened with a lot more debt. So while growth has returned, it is very modest growth in relation to the fall which preceded it. In addition the country’s economy is suffering from deflation, with consumer prices falling by 1.2% in November over a year earlier, the 21st consecutive month of negative inflation. 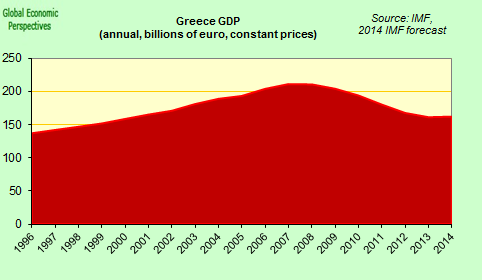 The IMF now forecast that Greek GDP will grow by 0.6% in 2014, but prices will fall by 0.8% meaning that nominal (non inflation adjusted) GDP will be stationary. And this kind of situation could go on for years and years as the country exists a horrendous recession only to enter an extended period of secular stagnation. Despite the timid, but much applauded, recovery, the macroeconomic data is far from being encouraging, as this screenshot taken from the statistic office website illustrates. Industrial output is back where it was in 1976, and was down 1.7% over a year earlier in October. 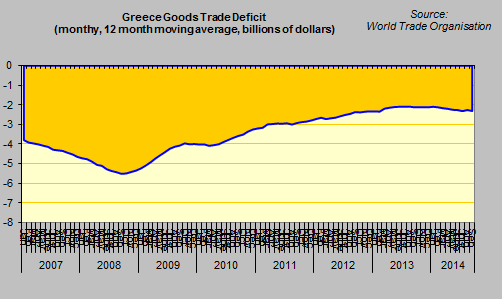 Greece’s current account has made huge strides in the right direction, and the balance was even positive in 2013, but this improvement has largely been the result of a reduction in imports (and living standards) and not due to export growth. 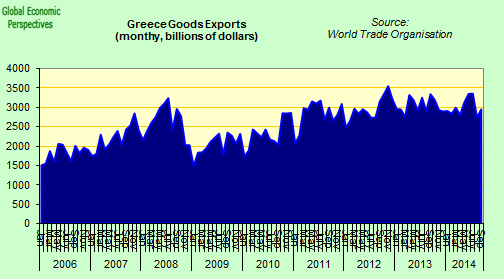 As a result the country still runs a sizable goods trade deficit. 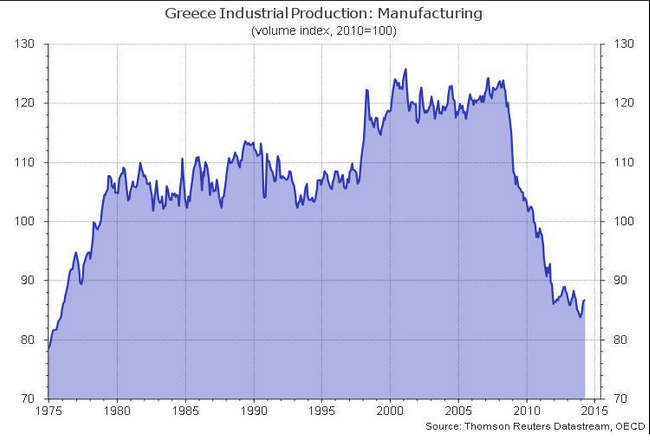 So Greece isn’t having an export lead recovery, which is what the country really needs. In fact massive sacrifices have been made, many people’s lives have been made a misery, yet there is really very little to show for it all. Which is why Syriza is doing well in the polls. With 26% unemployment continuing, surely (the thinking goes) anything would have to be better. Why not try a long shot in the dark? The horrid little secret about the common currency experiment is that it provided a structure wherein it was very easy to get into trouble (cheap interest, good credit ratings, no current account supervision) but desperately hard to get out of it (no currency to devalue). The big problem for Greece now is to find a way to get the country back to where it was before they got into the current mess while staying inside the currency union? Some would say quite simply they can’t and the conclusion to be drawn is that they should leave the Euro. This isn’t as easy or as obvious a solution as it seems, and in addition many of the other member countries are effectively counter-parties on much of the large external debt that has been accumulated, so in the event of non-payment part of the problem would simply change hands. Any decision by a member country to cut loose from the Euro is unlikely to be welcomed by the creditor nations, making the idea of a voluntary, negotiated departure pretty unlikely, particularly after Mr. Draghi made his promise. The exiting country would have to do so unilaterally, and face the consequences on debt default and sustained lack of access to international capital markets. It would be a very messy affair, and in some ways not a decision a person applying a rational calculus would be likely to arrive at. 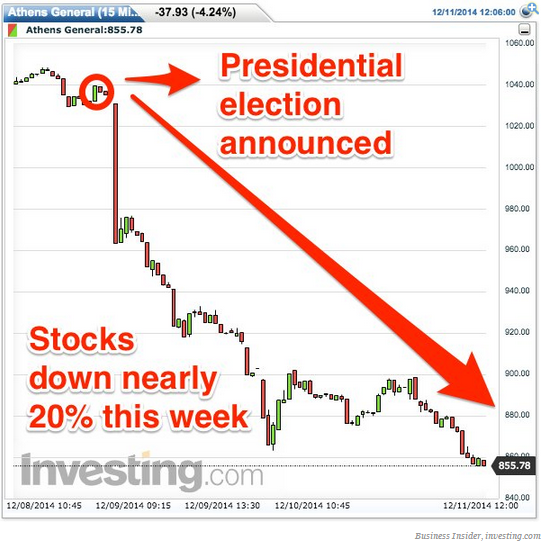 There are so many losses to offset against the gains. Under these circumstances the only conceivable way a deliberate decision to leave could credibly be envisioned would be as a result of one or more of the respective agents being effectively driven “insane” by the constant painful efforts involved in trying to carry out the very large competitiveness correction required while remaining within the currency union. This indeed was the argument I advanced in my essay submission to the Wolfson Prize: a procedure for orderly exit is essentially a worthless document since if anyone does leave the affair won’t be orderly, but bitter and fraught with conflict. And this phenomenon of growing political instability was what characterized Argentina before it went careering off the tracks in December 2001. So just because many might question the rationality of such a decision doesn’t mean it won’t happen, or couldn’t happen as an unwanted side effect of a conflict which gets out of control. Economies on the southern periphery are not recovering (in any normal sense of that word), they are condemned to either frequent recessions or one very long depression, depending on how you classify things, together with protracted deflation and unacceptably high levels of unemployment. The degree of lost competitiveness that was inflicted during the early years of the century – and which is as much an institutional and reputational issue as it is a price one – imply that a decade or more may pass before daylight is seen. This outcome is proving very painful for the respective populations. Too long and too painful, which is why we are now seeing a surge in support for organizations like Syriza, or Podemos in Spain, or the 5star movement in Italy. Confidence has steadily eroded in the old political elites, who were trying to convince voters that pigs really could fly (while in many cases lining their own pockets in the process) and more radical political movements are emerging. It isn’t that hard to understand. This was always going to happen. Some, like the FT’s Kerin Hope, try to draw comfort from the idea that Syriza may be moderating as the responsibility of holding power looms. “….the recent market panic belies the fact that Mr Tsipras has softened his rhetoric since Syriza came first in May’s European elections, cementing its lead over the governing New Democracy party in opinion polls. But this may be mistaking tactics for strategy. These movements are not about to get incorporated in the mainstream. And the key issue is not likely to be the debt one. As I explained (here) in the summer of 2013 formulas exist for handling this question. What is most likely to divide Athens and Brussels if Syriza win the elections is the nature of the economic model the country will adopt. In this sense Ambrose Evans Pritchard has this one right. As matters stand, it is more likely than not that a defiant Alexis Tsipras will be prime minister of Greece by late January. His Syriza alliance vows to overthrow the EU-IMF Troika regime, refusing to implement the key demands. A view has taken hold in EU capitals and the City of London that Mr Tsipras has resiled from these positions and will ultimately stick to the Troika Memorandum…. But the fact remains that he told Greek voters as recently as last week that his government would cease to enforce the bail-out demands “from its first day in office”. In fact they go further, describing Troika representatives as “criminals” who work to convert the periphery into “German colonies”. If you listen hard enough you can hear Podemos leaders saying similar things in Spain. As Ambrose also points out, Mr Tsipras will be banking on the idea that the EU leaders will back down, and talk turkey. But what if they don’t? Their room for manoeuvre on this front is far more limited than it is on the debt one, since others in the south would surely want to follow a similar path if they thought they could. Grexit may be something that no one actually wants to happen, but sometimes things no one wants to happen do. 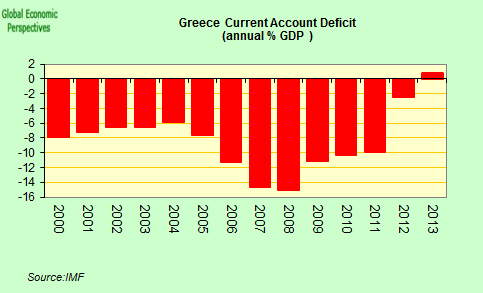 The above arguments are developed in detail and at far greater length in my recent book “Is The Euro Crisis Really Over? – will doing whatever it takes be enough” – on sale in various formats – including Kindle – at Amazon. 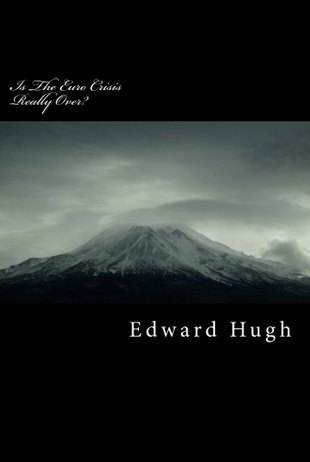 This entry was posted in A Fistful Of Euros, Economics, Economics: Country briefings, Economics: Currencies by Edward Hugh. Bookmark the permalink.